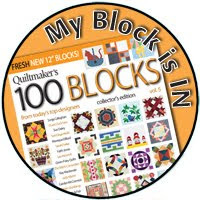 Moose on the Porch Quilts: Block Nine with Toby Lischko -- and the dog ate my homework! Block Eight Winners -- and being grateful! Block Nine with Toby Lischko -- and the dog ate my homework! That's Toby! 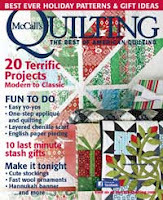 If you like quilt magazines even half as much as I do (I have to subscribe to all of them -- well, not quite all -- otherwise I pay full price for them at the store), then you have seen Toby's work. 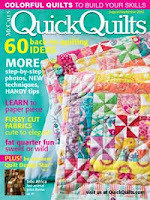 She has quilts published in quilt magazines on a regular basis. Toby has also donated a set of her Cutting Corners Templates for the drawing tonight! Yeah!!! The templates are an option for stitch and flip corners where you normally draw a diagonal stitching line on the back of a square. Using the templates, you don't have to draw that stitching line. Where we only have four lines to draw, that isn't too bad. BUT, I know I sure get tired of drawing those stitching lines when I have hundreds of little squares to draw them on, so I would love to take a closer look at the templates. Hello to all you strippers! I’m so glad that Konda asked me to join this fun group. 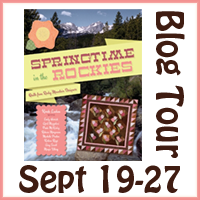 Let me tell you a little about myself and I will try not to be too wordy (I have a tendency to go on and on when I talk about quilting!) I currently live in Robertsville, Missouri (just west of St. Louis) with my husband of 36 years, 5 cats and 2 dogs. I have two children and 3 grandchildren. 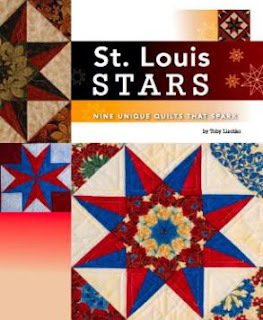 I took my first quilting class from Jackie Robinson, who owned the local quilt shop in St. Louis before she became famous, in 1985 with my mom and was hooked (sorry to say my mom wasn’t). I made a few quilts for the house in the next 10 years while raising my kids and working full time as a Special Education teacher. In 1995 I started working and teaching in a new quilt shop and things seemed to blossom from there. 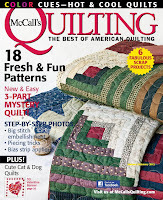 My first quilts were published in Miniature Quilt Magazine in 1997 and I won my first prize with the Hoffman Challenge in 1998. 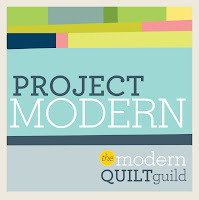 I was now officially a “professional quilter”! Every time a new book would come into the shop that intrigued me, I had to learn a new technique. 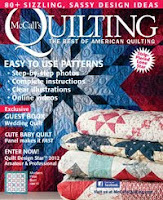 I began to expand my skills and started entering more contests and publishing more quilts. 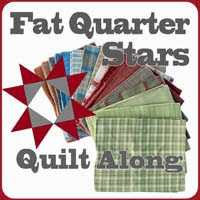 I started my company Gateway Quilts & Stuff, www.gatewayquiltsnstuff.com along with 2 of my closest friends in 1998 and am currently the sole proprietor of the company. I publish my own patterns, design my own templates, and wrote a book through Kansas City Star Quilts in 2009 called St. Louis Stars. 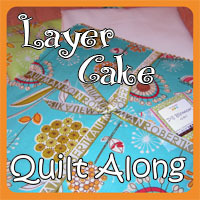 I began working with P&B Textiles as a quilt designer in 2001 and each year I would try to pick up a new fabric company. I currently design for Hoffman, Timeless Treasures, Clothworks, RJR, and Benartex, and at one time worked with Marcus Brothers and Windham Fabrics. 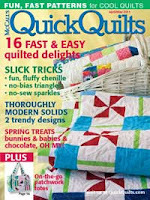 My designs can be found in most of the major quilt magazines and as free web patterns on the fabric company’s websites. 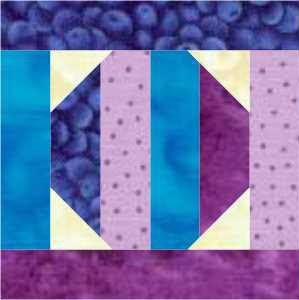 I consider myself a traditional quilter, who likes creating quilts that look difficult but aren’t. 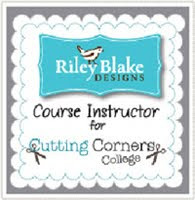 I currently designed a new template set called “Cutting Corners” because I got tired of drawing lines on the backs of squares to make Snowball blocks, Flying Geese, etc. and knew that there had to be a better way. It is a multi-purpose tool that can be used to make: a Square-in-a-Square, Flying Geese, Snowball blocks, Bowtie Blocks, diagonal seams and half-square triangles. I used it for making my block, but you can draw the line if you want. 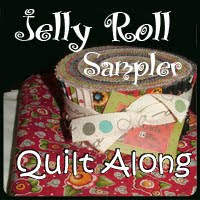 I also have a blog http://gatewayquiltsnstuff.blogspot.com/, which I have to admit I do not write in it as much as I would like, but it is a learning blog that I put a lot of my quilting tips on. One last note: I am available for lectures and workshops and have a new quilt retreat in Beaufort, Missouri, nestled in the woods for small groups of 4-6 quilters. Information regarding both are on my website http://www.gatewayquiltsnstuff.com/. I can be reached at tlischko@yahoo.com. Have fun making the block. I can’t wait to see what everyone’s quilt looks like! Click HERE for instructions to Toby's block. Okay, so you want to see Toby's block? Me too! So I really did make Toby's block. I even took pictures. Problem is. . . . Well. . . . It's like this. . . . The dog ate my homework! What! You've heard that one before. You're right, I don't even have a dog. I lost the cord to my camera. I probably put it in a safe place so it wouldn't get lost. I haven't looked too hard for it because I just noticed that I couldn't find it this morning. I didn't want everyone to be waiting on this block because I couldn't find my cord. My blocks turned out really fun too. I know yours will too. I also know that there will be some great pictures of this block very shortly on flickr. So if you want to see real life pictures of this block, head on over to our flickr site in a few minutes. REMINDER: You have two weeks to make these blocks. There will be a drawing late tonight for BLOCK EIGHT. 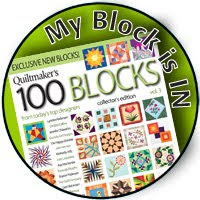 Of course, any block that is posted before mine on flickr gets entered in the drawing. If you are behind, now is a great time to catch up! With these blocks, it's just as easy to make two as it is to make one! Love this block! So different from the other ones. It is a nice block. I am going to have to check out that tool as it sounds wonderful! Great looking block, and the directions seem easy! yaay! The tool looks pretty awesome too. I need that one. Maybe I will get lucky this time. Great block! Toby is a great teacher, quilter, and designer. Glad to see that she joined you for the JRSQ. Yaay!!!! I got mine done. I love it!!! This block is Beautiful love your color combinations!! The file says it is damaged and cannot be repaired. I've tried to open it on four computers. Can you reload it? For some reason, the files occasionally do that. Most people get them fine, but one or two don't. 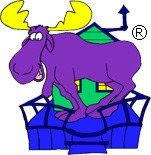 Just send me your email address, kluckau@moosequilts.com, and I will email you the file - in a different format if needed. Those corner cutting tools look amazing and i wish I had a set as i go into making this block... 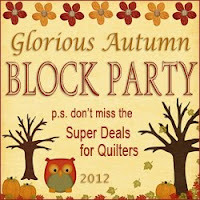 But I'm looking forward to making the block anyway, even if it is the 'hard' way!